MYWAY premier developer Software and IT products specialized in entertainment industry. Providing joy of life to our customers has been the highest priority of us was established. After establishing the MYWAY , the company quickly became one of the largest and the most respected maker of Karaoke systems on demand. Myway Group have subsidiary Myway Technology (M) Sdn. Bhd, Myway Box Enterprise, Perfect Music System and My Box Sdn Bhd was established on 2/9/2004 until now. We have our own software house to build our own karaoke system with the name of : MYWAY 3D SMART KTV System. A) OWN FRANCIS OUTLETS Now days, Myway Box and My Box .has reached the number of 26 Branches in whole Malaysia. Most of the outlets are equipped with complete karaoke facilities, user-friendly touch screen devices. 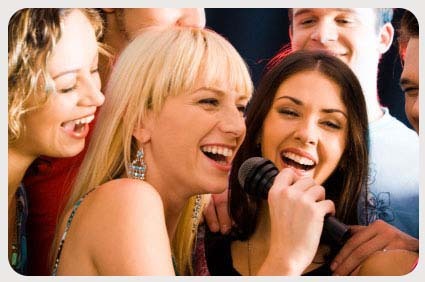 Rest assured that we have the latest songs provided all the time, high-fidelity audio-visuals systems and the best microphones to put everyone into the mood to the singer star. B) PROJECT AND CORPORATE By focusing on providing highly enjoyable entertainment experiences, MYWAY has also help customers set up they own Karaoke KTV. By the way we are welcome our customers visit our exiting outlets in whole Malaysia also. We have determined to deliver the best entertainment products and service to our customers. -Myway Technology (M) Sdn. Bhd, have sign the agreement with RIM Digital Music Sdn. Bhd. -For License reproduction of music video and karaoke recording (Home used and server-based computer for public KTV). In addition we have pleasure work with PPM, MACP and Finas also. So that everyone at ease of use, do not have to worry about offending copyright issues, so that everyone can enjoy the clear picture and the authentic of sound quality, and also the latest pop songs. We always adhere to “the technology innovation as the soul, quality for our product.